People pay their respects with flowers and pictures on Aretha Franklin's star at the Hollywood Walk of Fame in Los Angeles, the United States on August 16, 2018. Aretha Franklin, the "Queen of Soul," died at 76. 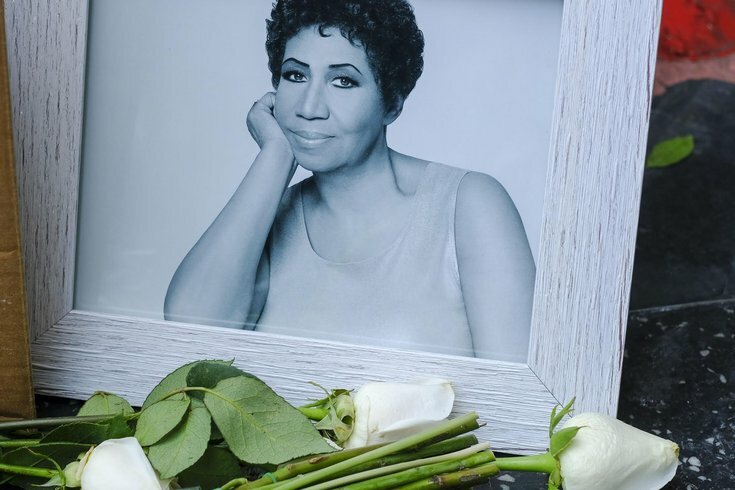 Aretha Franklin’s funeral began Friday morning. She is being laid to rest in a floor-length, gold dress and sequined heels to match her gold casket. The ceremony is held at Greater Grace Temple in Detroit, Mich. The funeral will start with readings from the Bible, a tribute from the Aretha Franklin Celebration Choir and lead into Faith Hill’s performance. Speakers from Franklin’s hometown of Detroit will give speeches, including the mayor of Detroit, Mike Duggan, and Michigan’s governor, Rick Snyder. Ariana Grande will then preform and The Clark Sisters will follow. Franklin’s family will give their speeches. Other performances include Jennifer Hudson, Fantasia, Chaka Khan and Ronald Isley of The Isley Brothers. Speakers include the Rev. Al Sharpton, civil rights activist Jesse Jackson, former Attorney General Eric Holder, former President Bill Clinton, Smokey Robinson, and legendary music executive and longtime friend of Franklin, Clive Davis. The funeral will end with a performance by Stevie Wonder. The procession song will be preformed by Jennifer Holiday. To see the full list of events, click here. Fox News, CNN, and MSNBC will air portions of the ceremony. BET networks will live stream and air coverage of the funeral as well. Several YouTube channels are streaming the event, including TIME and The Washington Post. You can also listen to the funeral on SiriusXM on Soul Town (channel 49).